I’m not a fan of the first Happy Feet. It’s a very pretty looking film that quickly becomes Glee with penguins and takes a left turn into anti-faith rhetoric that is borderline atheist propaganda. Plus the environmental themes were a bit obvious, to be polite. The penguins are cute and the dancing is nice, but the substance behind it all rubs me the wrong way. The film also happened to beat Cars for the Best Animated Feature Oscar when most of it happened to be motion capture, which is just wrong. So I’m extremely biased, and this Happy Feet Two trailer bounces off me like bullets bounce off Superman. But I fully acknowledge that this film will make a TON of cash this November. And how can it not? The first was a huge hit, and this sequel features even more celebrity voices and cuter musical animals. Its major competition is The Muppets which Disney is trying desperately to make huge, and Hugo which will probably attract more adults than children. 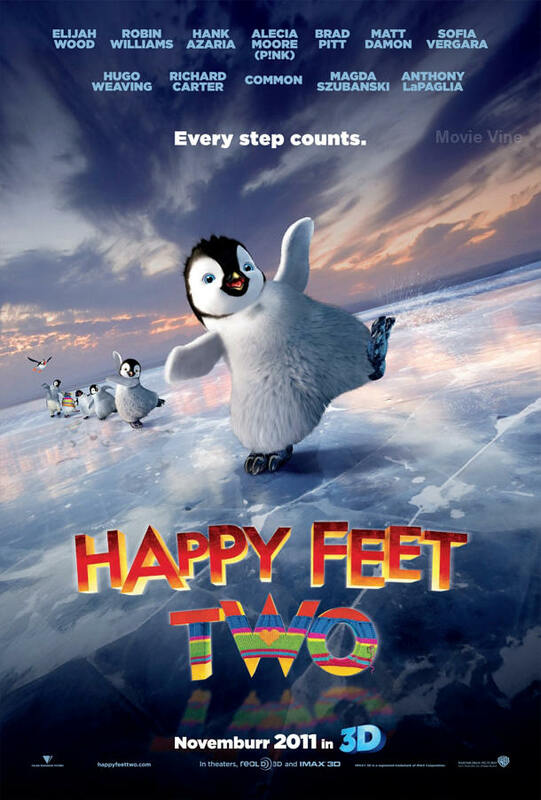 Happy Feet Two hits theaters on November 18th, 2011. Comments for When Environmentalists Attack! Part Two: The “Happy Feet 2” Trailer are now closed.